The food: I only recently heard the term overnight oats when my Pinterest feed was flooded with recipes for them. For days when I get sick of cold cereal, I hoped this grab-and-go oatmeal would provide a tasty and easy alternative. 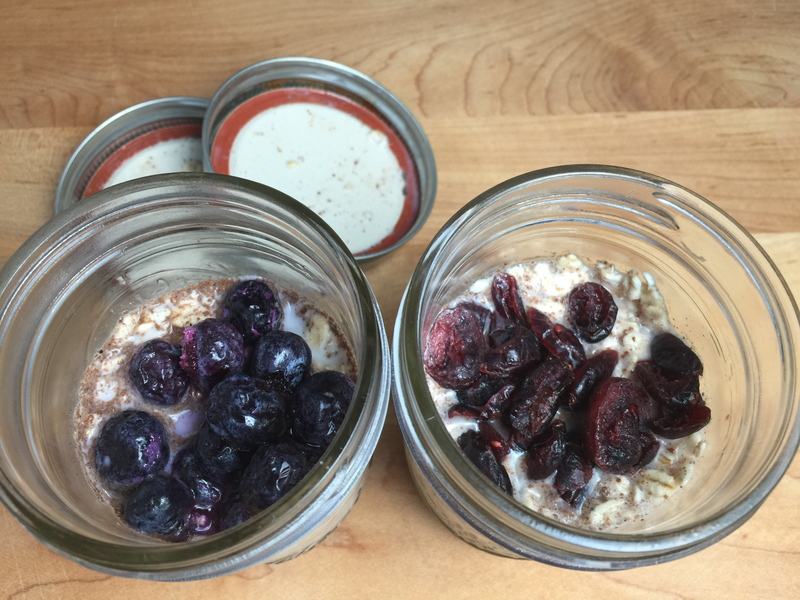 After reviewing a dozen versions of overnight oats, I realized that making them boils down to an easy formula of a few base ingredients plus custom toppings. Spend just a few minutes at night to have a yummy and filling breakfast waiting for you in the morning. The music: This recipe is quick. So quick, in fact, that it takes only one song to prepare, and that song should be “Morning Has Broken,” by Cat Stevens. The song is actually a Christian Hymn from the 1930s, but Stevens popularized it when he released it in 1971 (it went to No. 6 on Billboard‘s Hot 100 list). The lyrics are simple yet beautiful, and the melody is sweet and serene. It’s an inspiring, but not jarring, way to kick of the day. 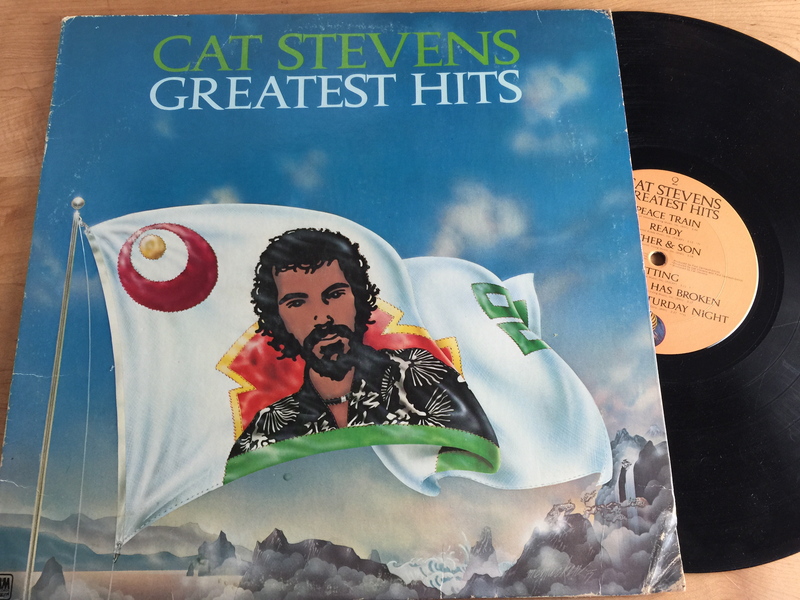 If you have time to listen to the rest of Stevens’ “Greatest Hits” album while you eat your oats, you’ll be treated to a bunch of awesome songs, including “Wild World,” “Moonshadow,” and “Peace Train.” I don’t think Stevens gets the props he deserves for his contribution to the 70s folk music scene. Making overnight oats is really easy, folks. There are six basic ingredients that form the base (below), and then it’s a matter of personalizing your creation with other mix-ins or toppings. I like to eat mine cold with blueberries on top; my boyfriend eats his heated with cranberries mixed in. I’ve also made chocolate oats, which are rich and delectable and a fairly healthy alternative for dessert. Love oats for breakfast? Try my recipe for Oatmeal Raisin Granola Bars, too. 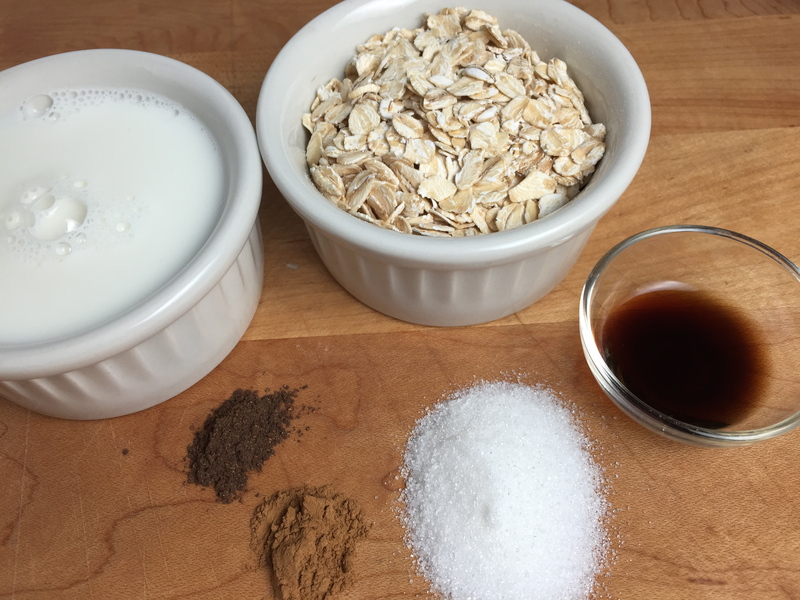 Place oats, milk, vanilla, cinnamon, and nutmeg in a lidded container (optional: add cocoa for chocolate oats). I use an 8 oz. glass Ball jar. Secure lid and shake ingredients until combined. Open container. Top with frozen or dried fruit, if desired (only use toppings that can sit in the mixture overnight; avoid nuts or other things that will get too soggy). Replace lid and place container in the refrigerator overnight. Contents will expand slightly as they chill. To serve, heat the container or eat the oats cold. If desired, add nuts, coconut, chocolate chips, or other toppings. You hit on one of my favorite new recipes this fall – I’ve made this a number of different ways. Your recipe is great! For something REALLY different, delete the spices, add in some nuts, a mashed banana as the oatmeal cooks on the stovetop, then grace it with a poached egg on top for a savory treat. It sounds disgusting, looks scary and tastes incredible. Don’t miss out on leftovers like condensed milk or egg nog. I did a batch of egg nog oatmeal this morning with craisins sprinkled in for a little holiday cheer. Keep up the great groove!